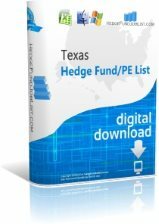 Looking for a list of hedge funds in Texas? Our TX Hedge Fund List contains more than 225 hedge funds and private equity firms in Texas. 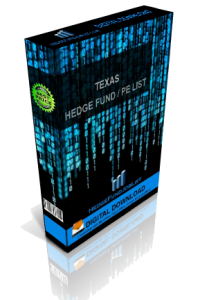 Check out our Texas Hedge Fund List today and find over 225 hedge funds in Texas including Dallas, Houston, Austin, and Fort Worth. We’re sure you will find it to be the best and most affordable list of hedge fund anywhere. Vision Research Capital Management is a hedge fund company based in Dallas, TX and is led by its Managing Director, Ben Chatraw. Their primary investment strategy is Equity. Vision Research Capital Management has 9 employees. Venquest Capital Partners is a private equity company based in Dallas, TX and is led by its Managing Partner, Paul Bureau III. Their primary investment strategies/sectors are Medical Devices and Energy. The company was founded in 2000.